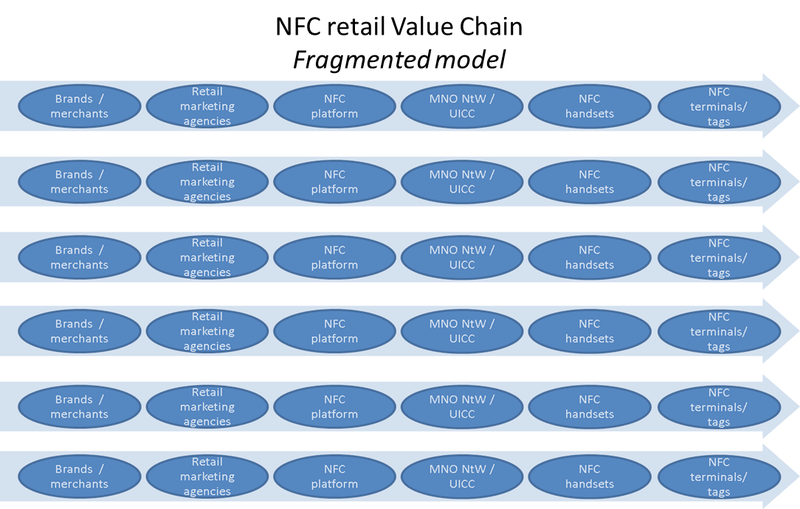 The emerging market of NFC services is taking a turn. 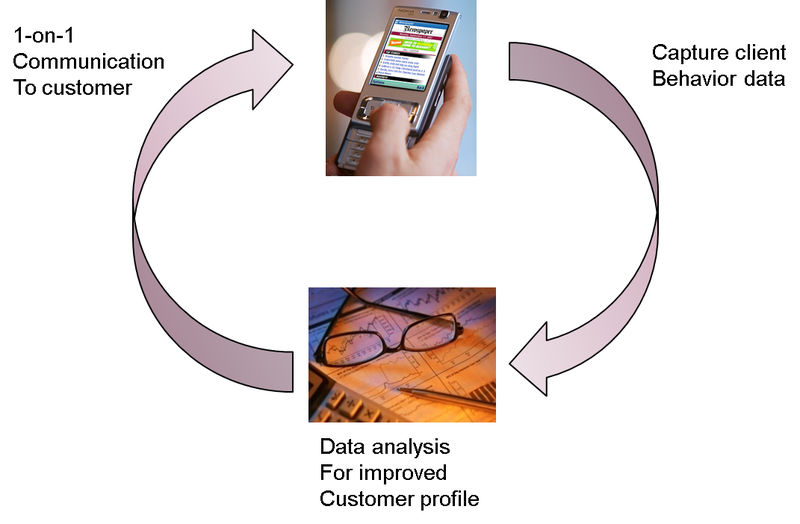 Pilots conducted worldwide during the last five years showed the great interest of end-users, and other stakeholders like Mobile Marketing and Mobile Payment providers but also demonstrated the limits of a one-to-one approach between a specific mobile operator and a single bank, retailer or transport authority, as showed in the figure below of the fragmented model. 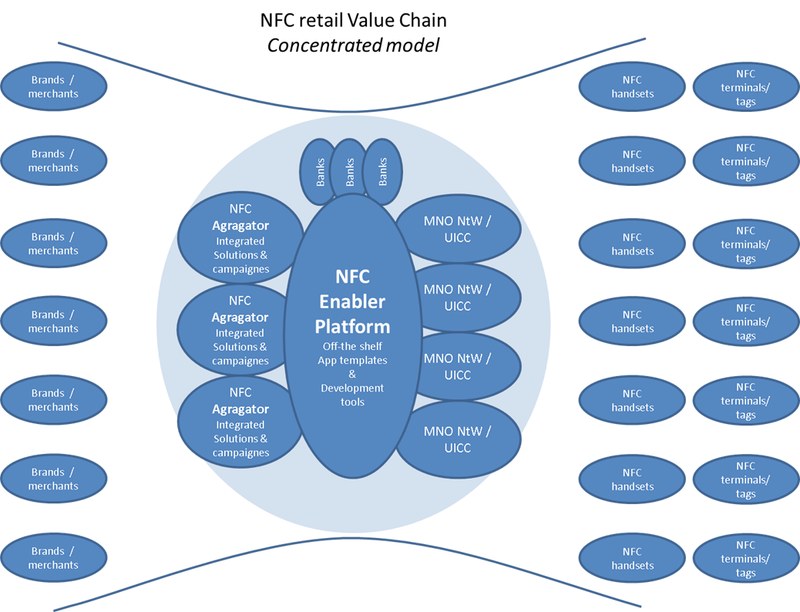 As such the mobile phone will develop in a versatile loyalty tool, widely accepted and used across the whole market, supporting a wide variety of services like mentioned in the figure below. 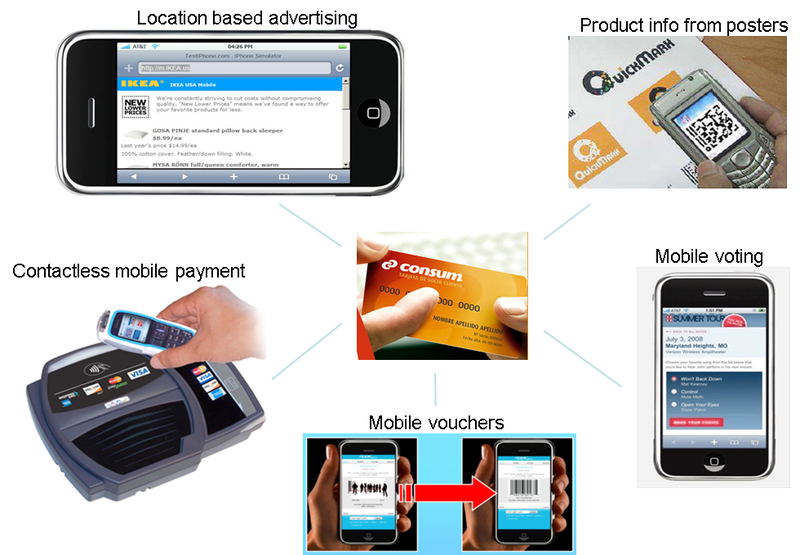 In return the mobile will provide unique customer in-sights, which will allow players in the market to develop real 1-on-1 marketing campaigns that will appeal to the real needs of the clients. Because LTT Business Consulting has obtain wide experience, form the execution of multiple project in the Enablement industry across Europe and LATAM, we do have the complete overview of the value chain, and as such can provide each player with a tailored approach which fits into the overall picture.